Lawns are important areas of a home offering many benefits from enhancing the beauty of a garden to providing spaces for relaxation. It also adds value to your property when it’s time to sell. Unfortunately, the upkeep of gardens can become expensive with watering, mowing and fertilization part of major costs. Why not invest in an artificial lawn and enjoy the benefits of a maintenance-free turf? Watering a lawn is costly. To provide 2.5 cm of water to a 254x254 cm lawn, you will need 23,58 cubic meters of water. At €2.1 per cubic meter in Spain, this alone will set you back around €51.40 which is a lot of money for just sprinkling your grass. With a fake turf, you’ll never worry about watering your grass or pay for it, money that can be used for other important things. An attractive lawn does not magically appear by itself. You need to put fertilizers and kill weeds & invasive species using pesticides or herbicides for a healthy growth. A major advantage of an artificial lawn is it does need any chemical to keep its green foliage. Your soil stays healthy and no harmful substances will contaminate your ground water. Soil pollution is prevented that could seriously damage the environment. Depending on the volume of traffic that your lawn receives, its lifespan could reach up to 20 years. That’s a lot of time for you to enjoy an evergreen turf that doesn’t bend or flatten easily even with garden furniture on it permanently. 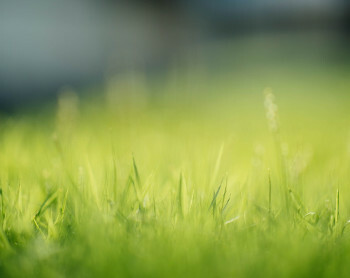 While the initial cost might set you back around €3,500 or more depending on the size of your lawn and the quality of grass that you buy, spreading this amount over its lifespan will just cost you €175 a year. Compare this to spending €20,000 (€1,000/year) in 20 years just to maintain a lawn and the math is quickly done. Maintaining a lawn requires spending the time to water, mow the grass, apply fertilizer or herbicides. Even if you have an automatic sprinkler system, you still need to mow the grass and devote time to keep your grass healthy and beautiful. To avoid paying a gardener, you are likely to do these chores yourself during your spare time. Without a lawn to maintain, you could use your free time to relax or just chill out in your garden. Investing in an artificial lawn offers many benefits. It eliminates lawn watering costs, helps the environment by reducing chemical use, conserves dwindling water supplies, frees up recreation time and overall, saves you money. Plus, you get to enjoy a maintenance-free turf that looks green and fresh all the time, at least for 2 decades, that is.